Bernard Rose’s treatment of Clive Barker’s Candyman was a horror triumph; it was bound to have a sequel – indeed, Rose himself penned it so that further exploring the ‘urban myth’ aspect that made the original so successful was possible. However, it was not to be, the studio wanted the titular character to be the main antagonist, and in doing so devalued the original by making a mockery of the monster, turning him into little more than a stalk and slash villain at the beck and call of a mirror. The story follows Annie Tarrant a school teacher in New Orleans, whose brother is suspected of a series of brutal murders, linking back to their own father. Convinced of his innocence Annie delves into their family history to discover the very origins of the Candyman himself. 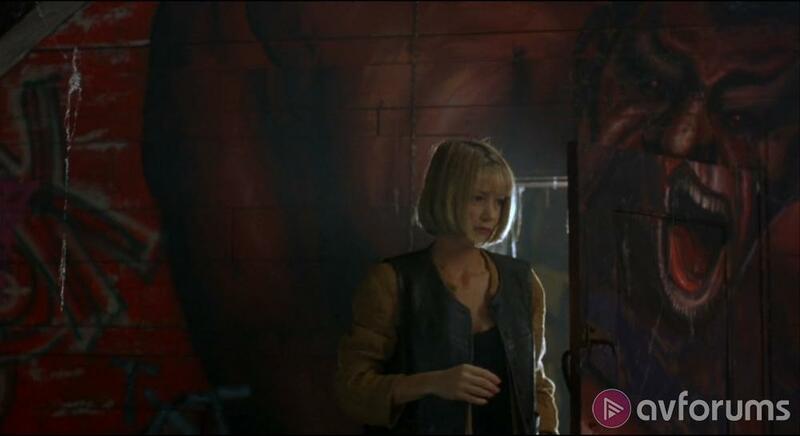 Meanwhile, the Candyman answers his call and commits the most heinous murders of those around Annie, as he tries to seduce her into joining him. 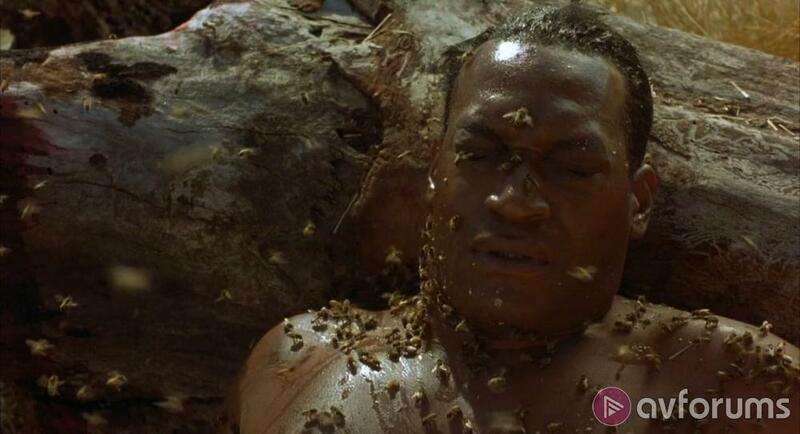 The idea of exploring Candyman’s past, even though it was fully divulged in the original film, gives the film some scope to widen the mythos, and whilst it does this, it also restricts the character by tying him to a mirror and not kept alive by myth and legend. The emphasis of the sequel also seems off, since the audience knows the character, there is no mystery; Annie isn’t so much trying to clear her brother’s name by convincing the authorities of a monster, but rather just reacting to situations forced upon her. Directing duties fell to Bill Condon and he, right from the off, throws in as many jump scares to remind you this is a horror film – something the original shied away from, preferring to build tension through pacing. The bloodletting is pretty visceral and the pace pretty high, but with little urgency, no mystery, cheap scares and a nonplus script, the film is really up against it. It feels like a cheap follow up rather than an evolution. Philip Glass returns to score the film, and whilst it is as evocative and haunting as ever it was, there are far more cues this time and this also devalues it somewhat; as in most cases less is more, but Candyman Farewell to the Flesh tries too hard and uses too much. And the least said about the CGI climax the better! A shame. I don’t know what has gone on with this picture, but it seems, not a lot. Essentially, while bright and colourful, the image is for the most part soft and riddled with damage, which does actually become a tad distracting. When the detail is sharp, it is very good, close-ups show decent skin texture, while some of the landscape shots overlooking New Orleans hold good edges, but these are rare. Mostly the image is soft, hiding the detail in a bit of a haze; it’s not offensive just obvious. Colouring is well seen though, really quite bold and strong, this is especially true of the reds and greens which really shine; check out the painting in the derelict mansion or any of the murders, while the lush plantations are quite vivid. The carnival scenes are alive with colour as well. Brightness and contrast are set well; there is a good black level that adds good frame depth, while holding some shadow detail, that helps to give a good punch to the image. Digitally there are no compression issues, but as stated, the picture is riddled with print damage mainly in the form of black and white specks. The grain structure is pretty tight and never looks noisy. A somewhat disappointing picture. Two tracks to choose from, DTS-HS MA 2.0 and 5.1; I opted for the surround. What is immediately apparent is the width of separation given to Glass’s score, the vocals chanting and the depth of the bass really widening the surround stage, and thankfully so, as the majority of the track plays out over the frontal array. Dialogue is clear and precise, sounds natural enough, and is held to the front. Effects, such as blood spurts, being in the centre of the carnival or in the class room, are given some decent directionality, but centred towards the front. While the bass is quite limited, excepting the score. Even Tony Todd’s deep vocals fail to really inspire the sub. The stingers are suitably loud, though. I dunno, I just expected more …. 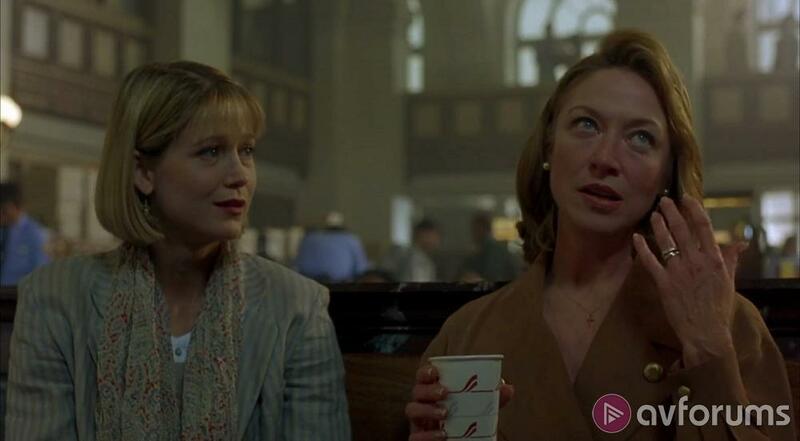 Audio Commentary – With director Bill Condon whose informative discussion covers pretty much all the bases touching on casting, scripting, locations, themes and the score. 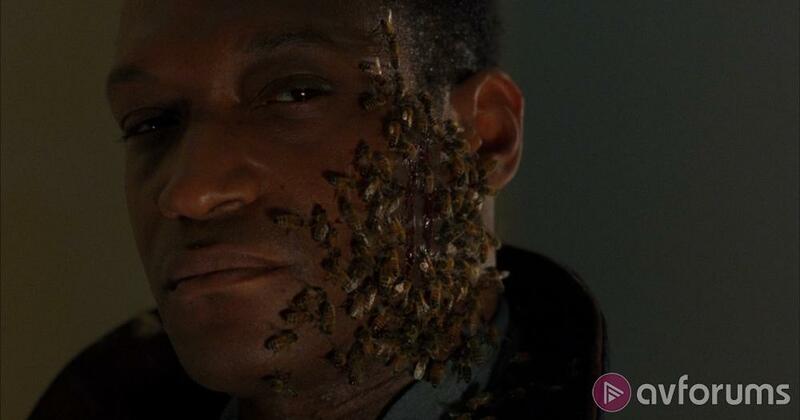 The Candyman Legacy – 30 minute interview with Actor Tony Todd, originally produced by Scream! Factory, has the actor talking about his career with specific attention to his most well-known character. Down Memory Lane – 10 minute interview with Actress Veronica Cartwright, who talks a little about her career and her time on set. After the success of the original Candyman a sequel was assured, but whilst it laudably tried to expand the mythos and backstory of the demon character, it actually ended up limiting and castrating him. By playing as typical stalk and slash horror replete with jump scares, albeit with supernatural elements, the lack of urgency, no mystery, cheap scares and a nonplus script, leave it playing like a cheap follow up, rather than an evolution. Even Philip Glass’ haunting and evocative score is overused and cheapens its effectiveness. A shame. As a Blu-ray, the set from 88 Films is ok, unfortunately, the picture isn’t great, whilst it is colourful and has decent punch due to a good black level, it is all rather soft and riddled with print damage. The DTS-HD MA 5.1 surround track is a little front heavy, but effects and especially the score are given lovely separation. The extras might be small, but they are, at least watchable. Write your Candyman Farewell to the Flesh Blu-ray review.